What could be better than Nutella? 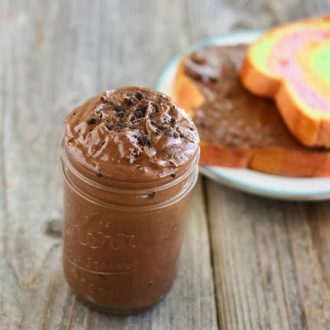 How about Nutella spread with a mix of crunchy chocolate cookie crumbs? Last week, my friend EJ emailed me a post she found for Oreo peanut butter. I loved it and immediately wanted to make it. But then it got my mind spinning. Mix up spreads to come up with even better creations. The possibilities are endless. I began experimenting in the kitchen. Mr. K was more than happy to be my taste tester for all of my creations. 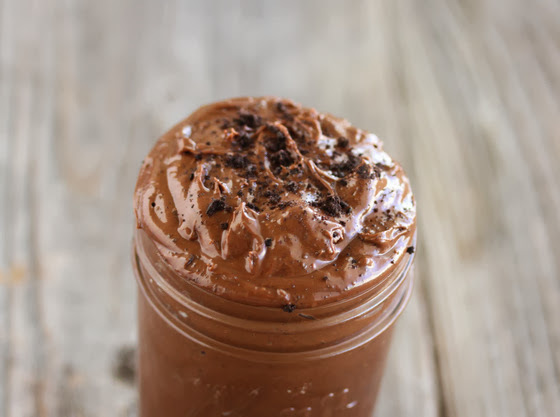 And he also came up for the name of this one, which might be my favorite because of my love of Nutella. I started spreading it on everything in my house, including some rainbow toast I got from King Hawaiian Bakery in Torrance. This spread is easy to make and you can put it in jars and gift it to friends. I didn’t make my own Nutella, though you can do that as well. 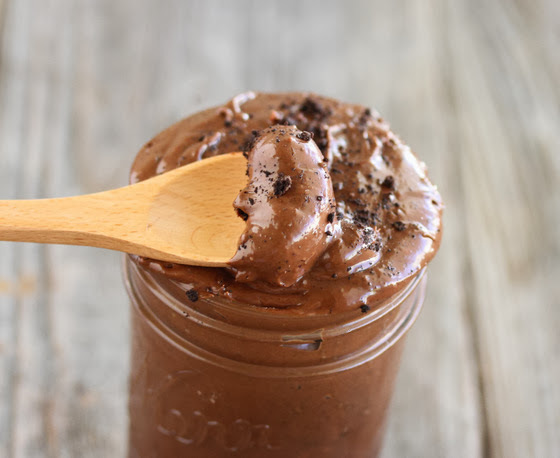 I used pre-made Nutella and then added Oreo cookies and let it mix in my food processor. 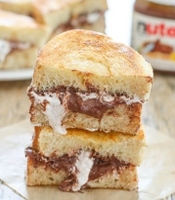 What could be better than Nutella? 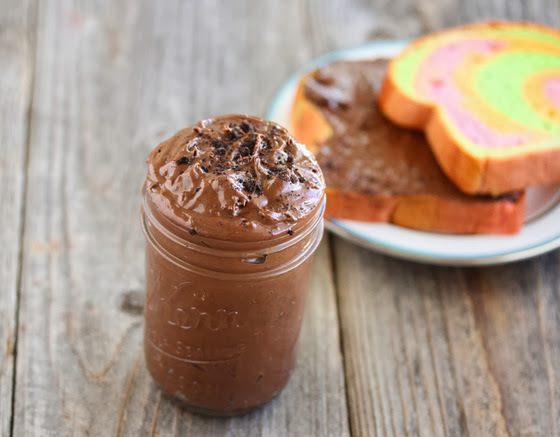 How about Nutella spread with a mix of crunchy chocolate cookie crumbs? You only need two ingredients and it's so easy to make! 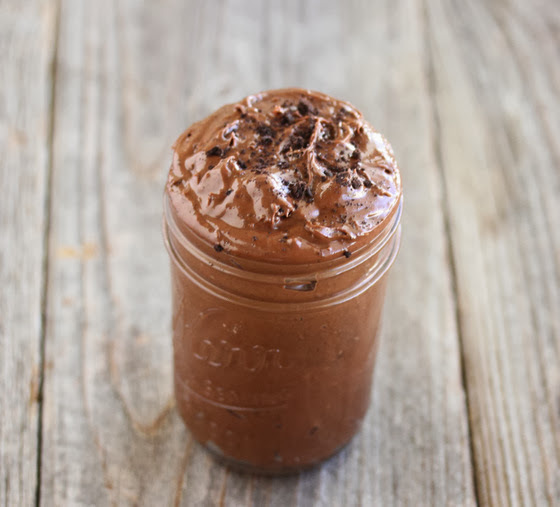 Put Nutella and Oreos into food processor and mix until cookies become small pieces. 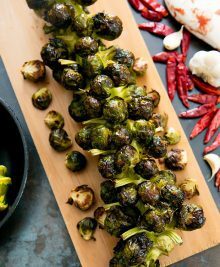 You can grind them very finely or keep them a little bigger, depending on how much of a crunch factor you want. Store in canning jar. 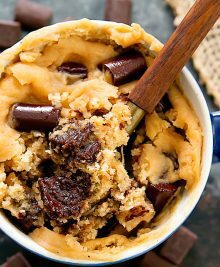 Looks so yummy and decadent! I’d just eat it out of the jar with a spoon!! I did that too. Lol! yummmy. you know I LOVE cookies n cream. So cookiesn cream n chocolate is JACKPOT. If Iwant caramel, would it be better to use caramel syrup orbuy a bag of caremels and nuke them in microwave and them mix it it in ? thank you kirbie. caramel syrup it is. I didnt think about the caramels re hardening in the crumble spread. Though that might take good. Unless it will re harden to the point where it wont melt in mouth /. That looks super decadent! It looks so fluffy! It was quite fluffy after I put it through the food processor. 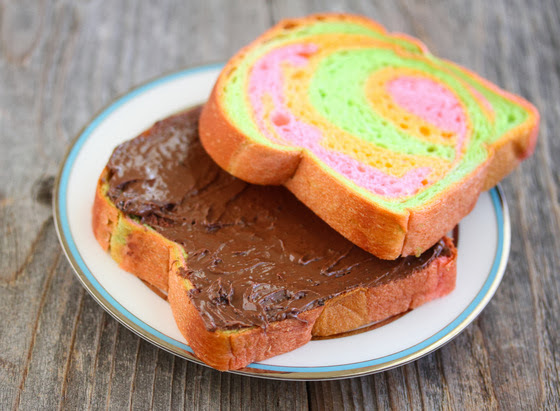 Those rainbow toasts look so adorable. I love this and I have hazelnuts so I am gonna make my own thing tomorrow! Sounds good! Making your own is definitely healthier too. YUMM!! WOW its looks sooooooooooooooo good!! Im defo trying that out this week!